It was in 2004 that I first became convinced that the best way to see a city is by running through its streets. That year, I was running from Paris to London, with a ferry across the Channel of course, covering 42-60km a day for eight consecutive days—that’s eight marathons in eight days. You may think that’s a bit extreme, but running through European cities is an experience dripping with romance. That very first morning in Paris, I ran through its amazing streets, down gravel paths, passing those beautiful landmarks—the Eiffel Tower, Notre Dame cathedral, Basilica of the Sacré Coeur (Sacred Heart), Arc de Triomphe. It was love at first sight. Since then, I have made it a point to run in cities that I visit, whether in India or abroad. My running shoes are always with me. One thing I have learnt is not to rely too much on the front-desk folks at hotels. They either discourage you from running, or give you a 2-3km running route. I always take their opinion, but also pick up a city map. I mark popular tourist attractions on the map, and combine it with Google Maps. It gives me a good sense of the city and what it looks like without make-up. The idea is to have a wonderful run but also do a recce for the family city tour—a 1-or 2-hour run easily covers what a family would cover in 6-8 hours. 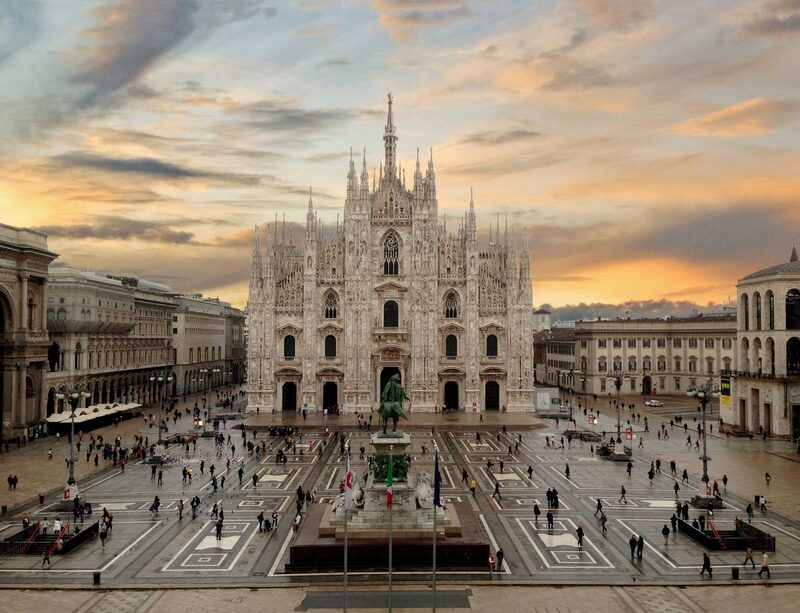 During the summer vacations this year, our first destination was to be Milan, Italy. It’s an amazing place with phenomenal history. Leonardo da Vinci was from here. As it happens, our hotel was right next to Giardini Pubblici Indro Montanelli (Indro Montanelli Public Gardens), the oldest park in Milan, set up in 1784. Gardens in Italy can be far bigger than most parks in India. This garden, for instance, has the Natural History Museum and the Planetarium. At one end of the park is Porta Venezia, a medieval gate, and the Roman walls of the city. The name Porta Venezia, Venice Gate, was given in 1862, in the hope that Venice, like Milan, would be part of the newly born kingdom of Italy. Was it just a coincidence that I was to travel to Venice that very same day? I ran up Corso Venezia, which houses popular fashion stores, and got to the small but very atmospheric San Babila church, more than 900 years old. Then it was up Corso Vittorio Emanuele II, a pedestrian street, that leads up to the famous Duomo, the Milan Cathedral that took nearly six centuries to complete. It’s the largest cathedral in Italy and the fifth largest in the world. I took five laps of it and clicked photographs, smiling at all the people I cross—whether they are runners themselves or not, people don’t get threatened by a runner. I carried on towards Castello Sforzesco (Sforzesco Castle), a massive red-brick castle built in the 15th century on the remains of a 14th century fortification. It now houses several of the city’s museums and art collections. Since there was a free Wi-Fi-zone right outside the main entrance, I took pictures and sent them to a few running friends. Parco Sempione, Simplon Park, adjoins the gardens of Sforzesco Castle. At the 100-acre park’s west end is the prominent Arco della Pace, or Arch of Peace, facing the direction of Paris. It was built to celebrate the entry of French leader Napoleon into Milan. Much as I was enjoying my run, I had to cut it short, for we had a train to catch to Venice. I didn’t have the time to run around San Siro (Stadio Giuseppe Meazza), a football stadium that is home to both AC Milan and FC Internazionale Milano. I traced my path back to the hotel. The very next morning I was running through the lanes of Venice.